It’s 30 years since Willy Russell introduced audiences to Shirley Valentine, the put-upon Liverpool housewife who rediscovers her zest for life on a surreptitious holiday in Greece. A role made famous by Pauline Collins on stage and screen, the play has had several revivals over the years, including in the West End with Meera Syal in 2010. 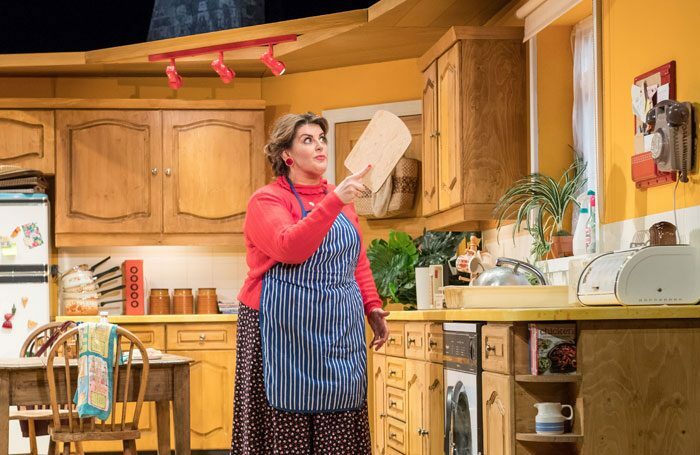 This current tour featuring Jodie Prenger might press the familiar humour a little too forcefully at times, but it remains a fiercely sharp script and Prenger finds the truth behind Russell’s desperately likeable heroine. As well as bringing to life vocally the rich source of characters that inhabit Shirley’s world, Prenger’s is a joyously physical performance. Dominating the stage, she seems a force to be reckoned with, yet still manages to project the vulnerability that defines Shirley’s increasingly claustrophobic world. The social landscape may have altered drastically over the past three decades but the themes of loneliness, emotional stagnation and emancipation are still hugely relevant. Russell’s writing is so universal that it’s only when Shirley dresses for the flight that we realise that this play is still set in the 1980s. Glen Walford’s direction is fairly unobtrusive, apart from some rather awkward staging early on – though it may well be a concession to the Richmond’s notorious rake. Amy Yardley’s kitchen design is utilitarian enough to fry up some chips and egg but in Act II, the Greek shore is an unsightly distraction of make-believe rocks and an ultramarine horizon.